Peruvian fishermen need only dive down a few meters to find the scallops considered the “golden nuggets” of the country’s seas — and cherished in European and North American kitchens. 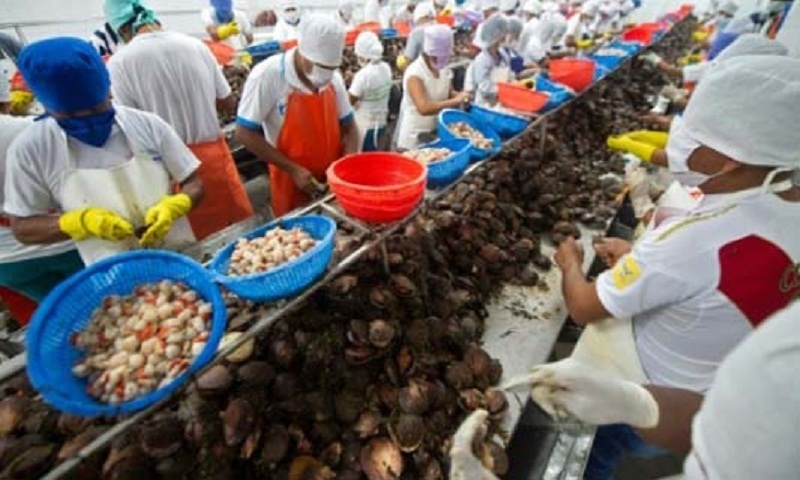 Sechura Bay, off northwest Peru’s Pacific coast near Ecuador, is the source of 80 percent of Peru’s exports of the seafood to France, Spain, the United States and Canada. “God blessed us with this bay, it’s really good for scallop production,” fisherman Segundo Tezen told AFP aboard a small raft navigating the coast under the baking sun. “These are golden nuggets of the Peruvian sea,” Wilmer Aguero, operations manager of the export company Cultimarine, told AFP. “The countries with the greatest demand are France, which consumes scallops with corals, and the United States, which buys a lot of scallops (with the roe, or coral, already removed),” Isabel Viza, owner of a processing plant in Sechura, told AFP. “You have to constantly monitor the product in the sea,” said Tezen.